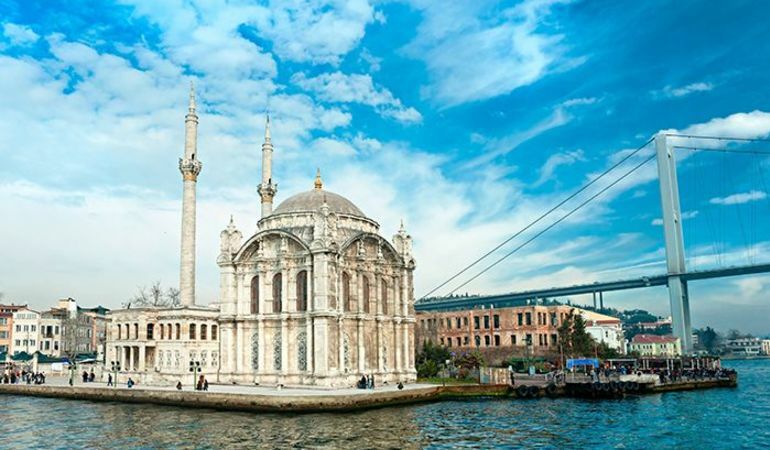 Located just before the Bosphorus Bridge, the Ortaköy Camii, Turkey (Ortaköy Mosque Turkey) has to have one of the most picturesque settings of all of the Istanbul mosques. Indeed, Ortaköy Mosque photos, with the bridge the background are often used to demonstrate that particular Istanbul juxtaposition of traditional and modern. Built on the sight of an 18th century mosque (built by Mahmut Ağa, the son-in law of Grand Vizier Ibrahim Pasha), the current building was completed in 1855, to serve as the Büyük Mecidiye Camii (Grand Imperial Mosque) to the Ottoman Sultan Abdülmecid. It was designed by Armenian architect, Garabet Balyan, and his son Nigoğayos Balyanl, who were also responsible for the nearby Dolmabahce Palace. It is neo-Baroque in style, with an ornate exterior, and large windows that allow light to flood into its plainer interior. The main chamber is small and square shaped, its edge 12.25m in length. The ceiling is a dome shape, covered in pink mosaics. There are two tall minarets, each with a single sherefe (minaret balcony). Attached is the two storey Hünkar Kasrı (sultan’s summer palace). It has recently undergone a major refurbishment. 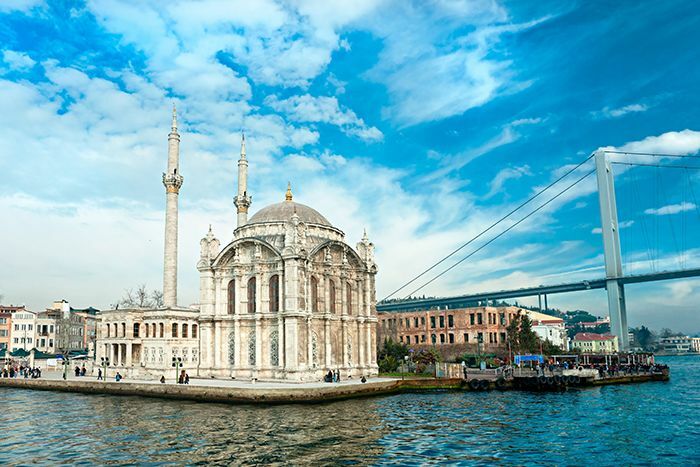 What are the Ortakoy (Ortaköy) mosque opening hours? Like most mosques, it is open from around 9am to 6pm, but closed to visitors during prayer times. 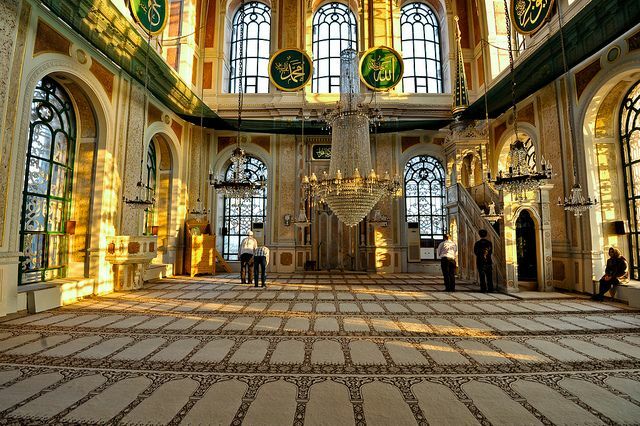 There is no Ortaköy Mosque ticket price, but donations are welcome. 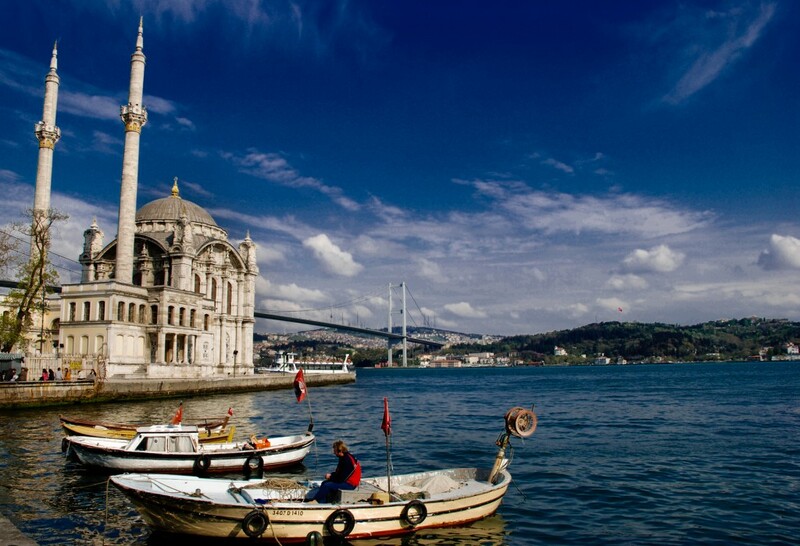 What else is nearby Ortakoy (Ortaköy) Mosque? If you visit the mosque, make sure to spend some time exploring the surrounding neighbourhood, which was once a sleepy fishing village. The mosque itself is set at the end of a pretty open air square, around which are some of Istanbul’s best nightlife and dining options. If you visit on a Sunday, you can also explore the craft market that takes place in the side streets each week. Reflecting the historically cosmopolitan nature of the area, there is also the Aya Fokas (St Phocas) Greek Orthodox church and the Etz-Ahayim synagogue nearby. 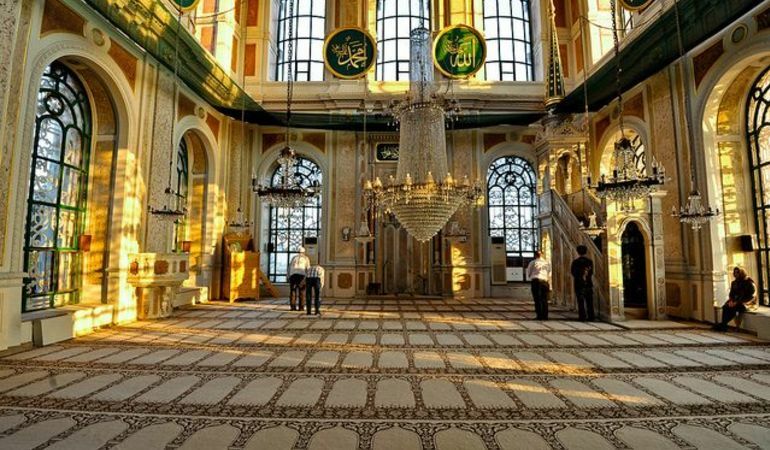 What other mosques should I visit in Istanbul? Other iconic mosques in Istanbul include the Yeni Camii (New Mosque), Sultanahmet Camii (Blue Mosque), Rustem Pasha Mosque, and the Suleymaniye Mosque. To get to Ortakoy by public transport, take a 40, 40T or 42T bus from Taksim, or from Kabatas, you can take the the 22, 22RE or 25E bus. Have you checked Süleymaniye Mosque? Make sure to have a look at Hazal Kilim store which is nextdoors- where you can find very unique hand-made Anatolian carpets and kilims.